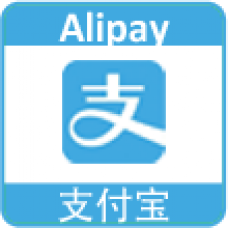 This SunflowerBiz Alipay module uses the latest Alipay API which is launched on 27th Nov. 2017 and our module has passed Alipay sandbox test. 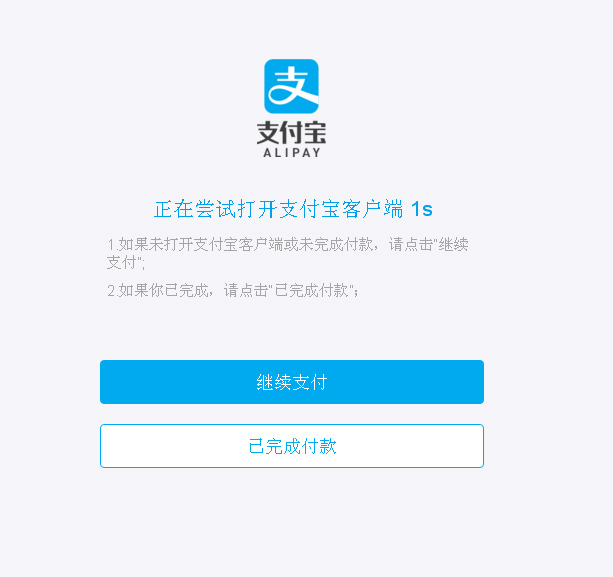 This API uses h5 pay to call Alipay app in both desktop and mobile API. 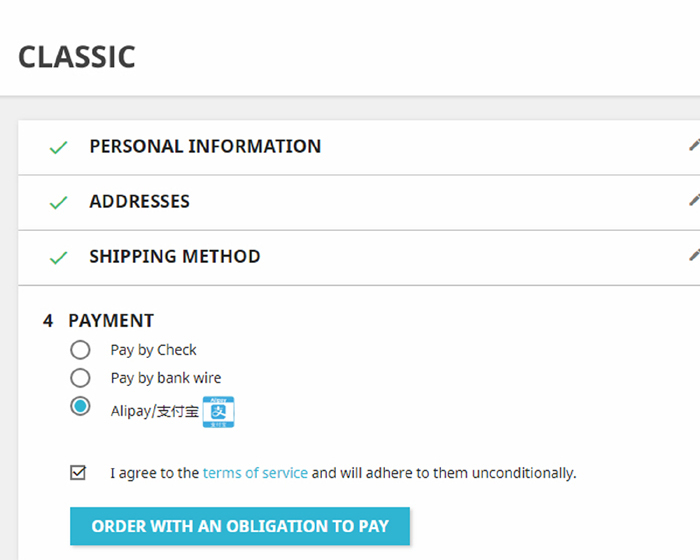 For detailed payment process, please check our user guide. 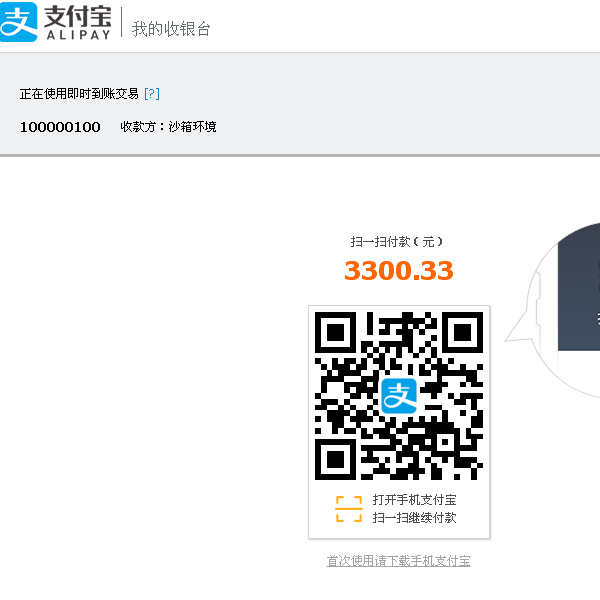  -Upload module zip file 'sunflowerbiz_alipay.zip' from backend module management page. 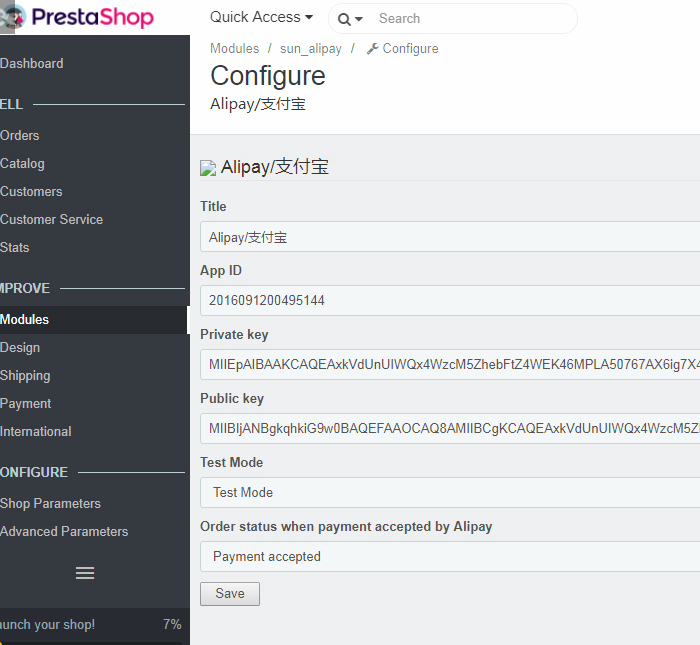 -Find 'Alipay/支付宝' under "Manage installed modules" tab and click 'Configure' to make settings.